It is a particularly exciting time to be a physicist, particularly in Australia. In mid-2012, the Higgs boson was discovered at CERN, and physicists from Melbourne contributed to the development of the ATLAS detector that participated in the discovery. Then came the first direct detection of gravitational waves in early 2016, with Australian contributors from the University of Adelaide, the Australian National University and the University of Western Australia. Now, just reported in Nature, is another breakthrough in fundamental physics, this time concerning antimatter. And this is another area where Australian researchers have been very active. The researchers at CERN managed to isolate several atoms of antihydrogen – the antimatter analogue of hydrogen – and measure its properties with unprecedented accuracy. While Australian researchers were not formally part of this experimental program, we have been providing calculations that show how to increase substantially the number of antihydrogen atoms made. Why the interest in antihydrogen, or antimatter in general? It turns out that along with dark energy and dark matter, the existence of antimatter is quite a mystery to physicists. The biggest puzzle is why there is so much matter in the universe, and so little antimatter. It would have been much easier to explain if there were equal amounts of matter and antimatter in the universe, or none at all. The Standard Model predicts equal amounts of antimatter and matter being created by the Big Bang, but in reality there is a tiny amount of antimatter compared to matter. Why is this so? No one knows, and a Nobel Prize awaits whoever solves this problem. It gets even more interesting, though. As there is no unification between quantum mechanics and general relativity, we have no reason to believe that antimatter will behave in a gravitational field in the same way as does matter. This is something that physicists would very much like to test. But to do so, we need to create a substantial quantity of antimatter. It also needs to be electrically neutral, so that any effect of gravity on the antimatter isn’t overwhelmed by the far more powerful electromagnetic force. Antihydrogen is a great candidate for this experiment because it has no electric charge. The interest of the Gravitational Behaviour of Antihydrogen at Rest (GBAR) group at CERN is observing how antihydrogen behaves under gravity. If it falls, just like ordinary hydrogen, not much will be learned regarding the asymmetry of matter and antimatter in the universe. On the other hand, if it goes up, the foundation of physics will need a rethink! Another way to study antimatter is to examine its structure. We already know a lot about the behaviour of matter, such as the way electrons move between the shells around the nucleus. We have measured the amount of energy required to bump an electron from the innermost, 1 shell, and the next, 2 shell, with startling precision – out to 15 significant figures. If the same transition can be measured in antihydrogen to a similar level of precision, then perhaps we will gain a clue to matter-antimatter asymmetry for the first time. In physics, when we perform experiments, the measurements are repeated many times to ensure that the results are statistically significant. This is not so easy when it comes to working with antihydrogen. When matter and antimatter come together they annihilate, creating a massive amount of energy (as described by Einstein’s famous E=mc² formula). One practical benefit is in positron emission tomography (PET) scans for cancer detection. PET uses the annihilation of positrons (antielectrons) with electrons to create gamma rays that we can use to determine the position of the cancer in the body. In the new experiment at CERN, the number of antihydrogen atoms initially created is around 25,000. But only about a dozen of these were trapped and could be examined closely. Nevertheless, that was sufficient to measure the 1 shell to 2 shell transition of an electron to an accuracy of 10 significant figures, all of which agree with the ordinary hydrogen case. Though there have not been any surprises thus far, the next goal is to increase substantially the number of trapped antihydrogen atoms so we can form the gravitational and spectroscopic experiments with considerably improved precision. 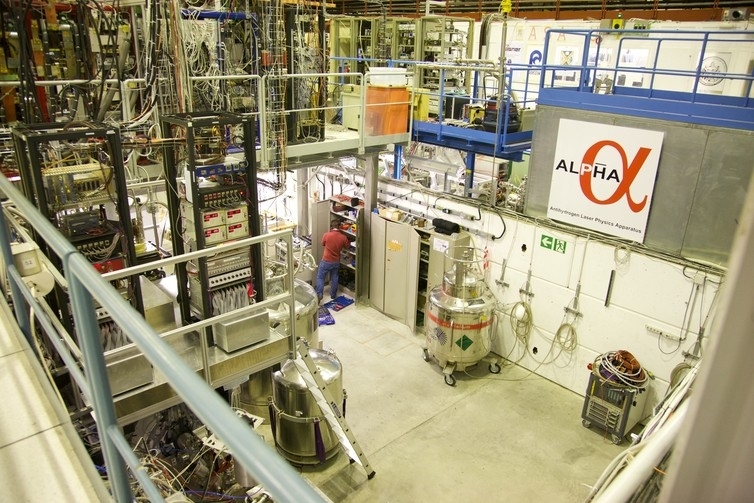 This is where our research on how to produce more antihydrogen atoms comes in. Antihydrogen is typically made by bringing together positronium – a short-lived bound state of a positron and an electron – together with antiprotons that are chilled to less than a degree above absolute zero. We showed that if the positronium is initially prepared in a more electrically excited state, as can be routinely done with modern lasers, then the number of antihydrogen atoms created will increase by several orders of magnitude. This process is currently under development at CERN, and we look forward to seeing one of the longstanding problems in physics – matter-antimmatter asymmetry – being tackled head-on by the teamwork of experimental and theoretical physicists. 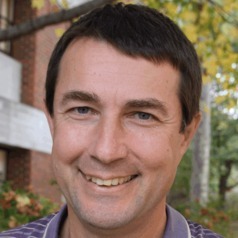 Igor Bray receives funding from the Australian Research Council.